If you think nothing sounds quite as relaxing as spending an afternoon on your boat, you may find Mystery Tacklebox to be just what you need to add extra lures to your collection and mix up your fishing experiences. 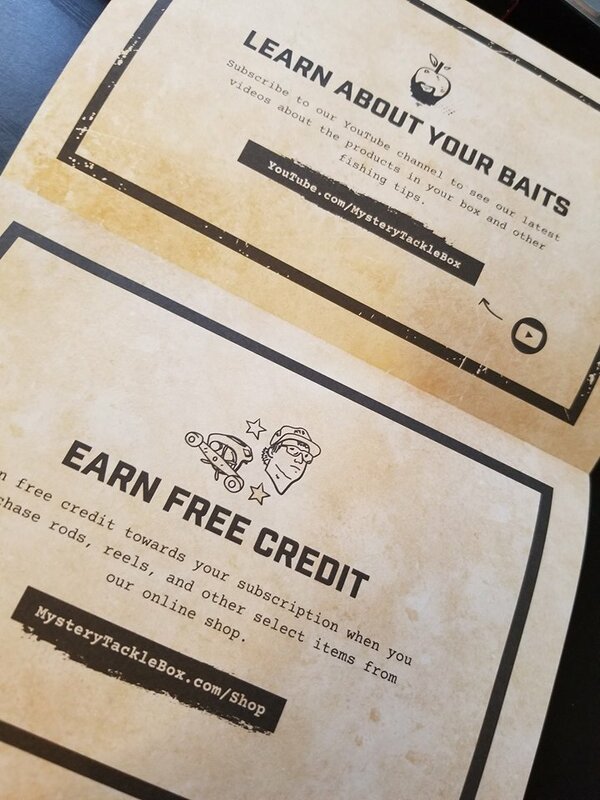 Mystery Tacklebox is a subscription service that sends you a box of surprise fishing supplies each month. There are several boxes available ranging from $14.99 and up. This can also be used as a gift for friends or family members who enjoy fishing, so if you find that it's difficult to get birthday or holiday gifts for the fisherman or woman in your life, this could be just what you need. This month, I had a chance to check out Mystery Tacklebox. While it's obviously too cold for me to go fishing and try out my new lures, I did have a good time checking out the different items that arrived in my box. 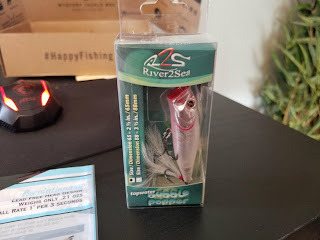 My Mystery Tacklebox came in a fun, informative box that had a full explanation about both the service and the supplies. This way, I could easily learn what came in my box in case there was something I wasn't already familiar with. After I read about everything in the box, it was time to take each item out. My box came with quite an assortment of different items, which was pretty fun to see. 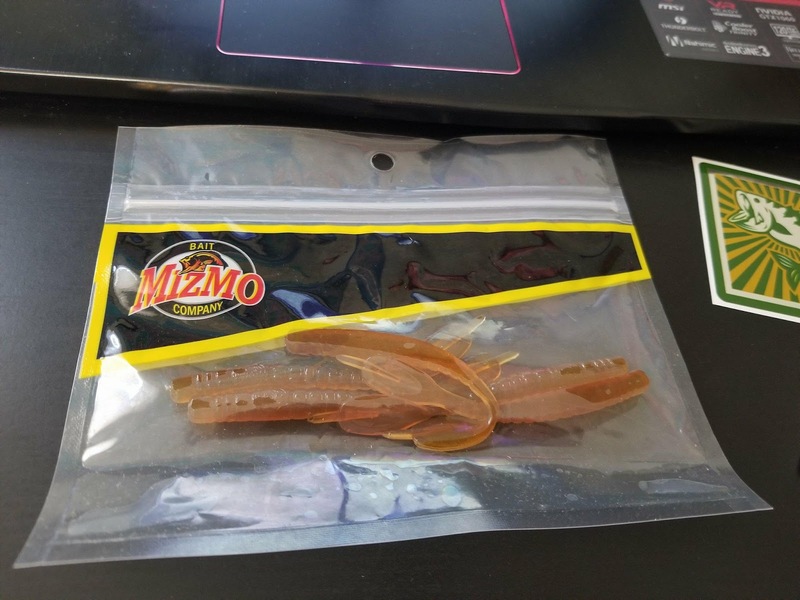 If you have a collection of lures already, you might enjoy mixing things up with new, carefully selected items you haven't already tried. If you're interested in trying this out, make sure you use a coupon to reduce your costs on your first box! I love using promo codes and coupons while shopping online, so I'm happy to have the chance to share this one with you. 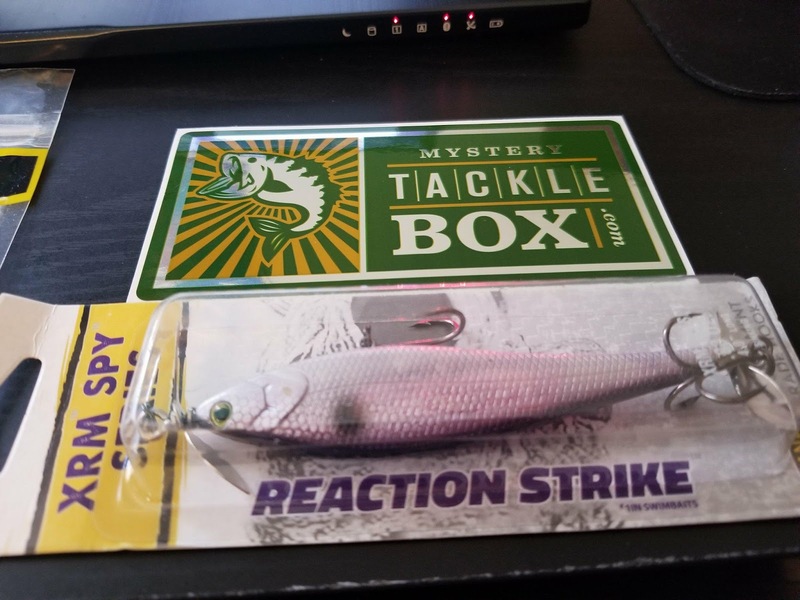 Use code USFAM10 to save $10 off your first Mystery Tacklebox. Visit Mystery Tacklebox to learn more. Have you ever subscribed to anything? What did you get? 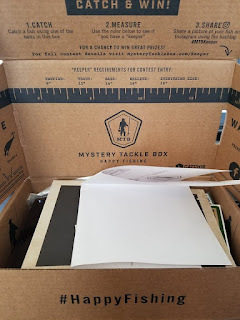 Do you know someone who would enjoy Mystery Tacklebox? Author's note: I received a complimentary box in exchange for a fair and honest review of Mystery Tacklebox. Opinions expressed within this post are my own.